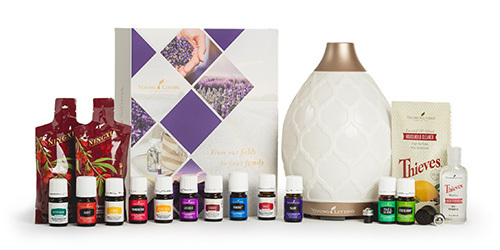 So EXCITED to announce the Black Friday Deals from Young Living! ‼️And guess what: we can get a THIRD set of PV Promotions! That mean more Higher Unity!! ‼️ Be ready at 🕰 10 AM EST on Friday 🗓 when the sale goes live!! Young Living’s Aria Ultrasonic Diffuser is a unique, beautiful way to experience essential oils with a system that combines the latest in diffuser technology with a variety of useful features. The included remote lets you choose from a selection of soothing, built-in sounds, run time, or enjoy the multicolored LED lights, and built-in speakers where you can plug in your own personal music device and enjoy the music of your choice. Young Living’s Desert Mist Ultrasonic Diffuser is a brand-new, custom-designed diffuser made to look like a beautiful and elegant vase. The design features a romantic Moroccan trellis pattern, which brings a sense of the exotic into your home or office. It functions as a humidifier, atomizer, and aroma diffuser in one simple-to-use product. Lantern Diffuser: Designed to be an elegant centerpiece or accent to any home or office. The classic lantern design, crafted of fine metal and glass, offers longer run times and multiple lighting features for any aromatherapy practice. 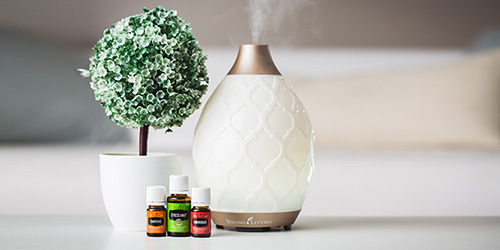 Combining state-of-the-art ultrasonic technology and traditional Chinese craftsmanship, Young Living’s Rainstone Diffuser provides a balanced convergence of the grounding element of earth with the enveloping powers of essential oil-infused mist. ◾️◾️ = unicorn 🦄 oils that you should GRAB FIRST!! While Bergamot has a primarily tart and uplifting aroma, there are also sweet and relaxing elements, making it a popular addition to perfumes. Bergamot has attracted attention for its skin-cleansing properties and elegant scent, making it a popular addition to luxury shampoos, soaps, and cleansers. Bergamot can cause photosensitivity, so avoid applying the oil before spending time in the sun. This oil puts the blue in Valor! Native to Morocco, blue tansy is a rare botanical that is most commonly known for its use in high-end, luxury beauty products. Normally limited to one per account per month! Cedarwood (Cedrus atlantica) essential oil’s woodsy, warm, balsamic aroma creates a relaxing, calming, and comforting atmosphere when diffused to help support a relaxing nighttime routine. The cleansing and moisturizing properties associated with Cedarwood also make it a great addition to your favorite skin care products. With some of YL’s most popular Christmas essential oils, Christmas Spirt taps into the happiness, joy, and comfort associated with the holiday season. It combines Orange, Cinnamon Bark, and Spruce to create a warm, spicy, and sweet Christmas essential oil blend that’s sure to be loved by everyone in the family. Thanks to its fresh, welcoming aroma, Citronella essential oil is a common element in perfumes and cosmetic products and is well known for its use in outdoor candles, sprays, lotions, and other camping and outdoor essentials. 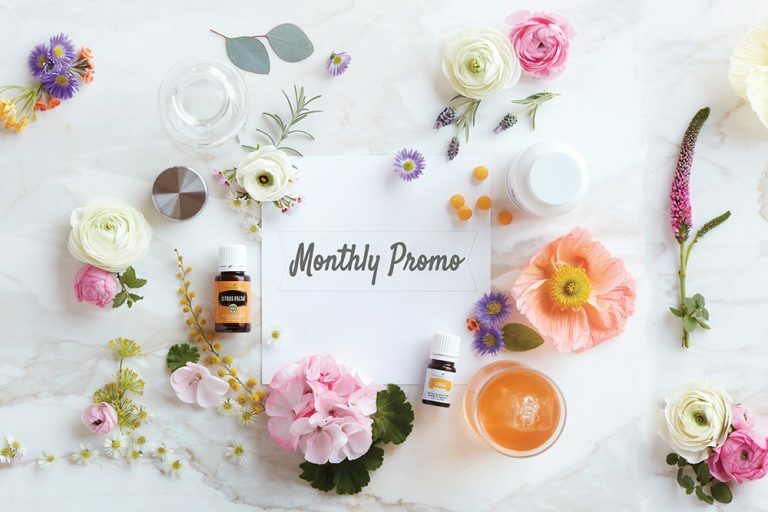 Citrus Fresh Vitality essential oil blend perfectly combines member-favorite citrus oils with the refreshingly cool taste of Spearmint to add a striking and unique pop of flavor to your water or culinary dishes. To produce Clove essential oil, the flower bud and plant stem are steam distilled, and the rich, strong oil that results from this process contains eugenol. This powerful constituent makes it a potent essential oil, and Clove oil uses include topical applications such as massage oils and personal care products. Known for its gentle, woodsy aroma, Copaiba essential oil is a product of steam distilling the gum resin tapped from the Brazilian Copaifera reticulata tree. Copaiba is a great addition to your daily routine and skin care. Add it to a neutral moisturizer to utilize its natural fragrance and moisturizing properties. It can also be applied following activity for a comforting cooldown. Cypress has a fresh, herbaceous aroma that can promote a sense of security and grounding. Great to have in your wellness toolbox! Look this one up! 🤓 📚 Also a Raindrop Technique oil! DiGize essential oil blend combines Tarragon, Ginger, Peppermint, Juniper, Lemongrass, Anise, and Patchouli oils for a spicy, exotic aromatic blend. It also contains Fennel essential oil, which people have used for a broad range of purposes since the ancient Egyptians. EndoFlex is a blend of Spearmint, Geranium, and other pure essential oils that helps create a calming and balancing aroma when diffused. Happy Hormones! Eucalyptus Globulus is known for its cleansing properties and stimulating scent, and like other eucalyptus oil uses, it is often applied topically or diffused aromatically. Eucalyptus Radiata essential oil comes from the leaves of an evergreen tree native to Australia and has a sharp and clean aroma that sparks a sense of refreshment and renewal. Frankincense is rich with tradition, and its taste is unmistakable. Frankincense Vitality essential oil carries a rich, sweet, woodsy flavor and properties that can help support overall well-being and a healthy immune system when taken internally. Geranium essential oil (Pelargonium graveolens) was used by the Egyptians to promote beautiful, radiant-looking skin. Today, this potent oil is often used in high-end perfumes and skin care products. ImmuPower is a powerful blend of essential oils with an aroma that encourages positive energy. Gentle Baby essential oil blend is formulated with Coriander, Geranium, Palmarosa, Lavender, Ylang Ylang, Roman Chamomile, and other sweet-smelling essential oils. Gentle Baby oil’s soothing blend of pure essential oils has an aroma that invites a sense of calming for parents and children. Amazing for skin! Ginger oil is a popular essential oil with a warm, energizing aroma. Diffuse Joy around the house for an environment that is pleasant and inviting, or dab it on your neck and wrists for a natural floral perfume. This essential oil blend invites togetherness and is used adoringly by members all around the world. And all the mamas rejoiced! 😆🙌Lavender (Lavandula officinalis) essential oil has a scent that’s a wonderful blend of fresh, floral, clean, and calm. Toddler tantrums to sleep to skin, this one has you covered. Lemon (Citrus limon) Vitality essential oil can add a bright and dynamic flavor to many dishes. Lemon Vitality also has many health benefits when taken internally, including immune support and antioxidant properties. Melrose is a blend of essential oils with powerful cleansing properties that supports the appearance of skin. Great to have on hand and in your wellness toolbox! Orange (Citrus aurantium dulcis) essential oil has a sweet, bright aroma reminiscent of a blossoming orchard of orange trees. Start your day with an uplifting burst of liquid sunshine by diffusing Orange as you get ready in the morning. Orange Vitality essential oil has a bright, fresh citrus flavor that makes it a must-have culinary tool. Try it in baked goods, especially to create contrast with particularly sweet items, or combine it with warm spices like cardamom and clove to enhance them. As an herb, oregano shines in Italian and Mediterranean cuisine; but as an essential oil, it has a wealth of benefits. Raindrop Technique oil! Patchouli essential oil has a powerful, musky scent, and because of its complex aroma, Patchouli oil uses often include perfumes, soaps, incense, and essential oil blends. Skin saver! With Wintergreen, Helichrysum, Clove, and Peppermint essential oils, PanAway essential oil blend has a refreshing, invigorating aroma and a cooling sensation when applied to the skin. Stock up on this PSK oil! PanAway continues to be one of Young Living’s most popular products and is a must-have for every home. Apply this synergistic blend after exercise or anytime for its soothing, stimulating aroma. Peppermint Vitality essential oil has a bright, cool flavor that is instantly recognizable. The refreshing flavor of Peppermint (Mentha piperita) is welcome on the hottest summer days and the coldest winter nights. Raven essential oil blend is a cool, refreshing combination of Ravintsara, Peppermint, Eucalyptus Radiata, Lemon, and Wintergreen essential oils. 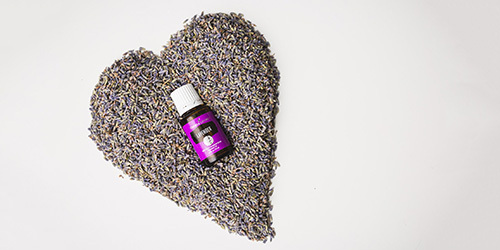 A chilly, minty blend with sweet undertones, Raven creates a cooling sensation and provides a comforting aroma when applied topically to the chest and throat. 😱Rose oil—the product of one of the most recognizable and culturally significant flowers in the world—has a rich, intoxicating aroma that’s just as beautiful as the bloom itself. Because each 5-ml bottle requires 22 pounds of rose petals, Rose oil is one of the most valuable essential oils you can acquire. Frequency of 320 megahertz! Rosemary essential oil uses include topical application and direct inhalation, and its complex, woodsy aroma can help create an energizing environment and promote a sense of clarity. With Royal Hawaiian Sandalwood essential oil, create a complexion that glows! A few drops added to the moisturizer your skin loves the most can help reduce the appearance of blemishes. Sacred Sandalwood essential oil provides an uplifting, warm, woodsy, and sweet aroma, while offering a variety of skin benefits. Stress Away essential oil blend contains a unique combination of Lime essential oil and Vanilla extract. It’s this distinct mix of Vanilla and Lime that gives Stress Away its unique and pleasant aroma, among other benefits. Thieves essential oil blend is a powerful combination of Clove, Lemon, Cinnamon Bark, Eucalyptus Radiata, and Rosemary essential oils that fills any space with a rich, spicy aroma. As one of YL’s most popular products, it’s no wonder that Thieves is included in so many of Young Living’s amazing home cleaning and personal care products. Thieves Vitality essential oil blend combines Lemon, Clove, Eucalyptus Radiata, Cinnamon Bark, and Rosemary essential oils to create one of Young Living’s most popular products. These ingredients work together synergistically to offer one of the key benefits of Thieves Vitality: overall wellness and support for a healthy immune system. Valor essential oil blend is one of Young Living’s most popular products and a favorite of Founder D. Gary Young. A truly unique blend of Black Spruce, Blue Tansy, Camphor Wood, Geranium, and Frankincense, Valor has a woodsy, grounding aroma that is great for massages and other topical and aromatic uses. Vetiver essential oil’s aroma is earthy, eclectic, and exotic. It was used in ancient times, and the oil’s popularity still exists as an ingredient in colognes and fragrances—especially for men—as well as in soaps and moisturizers. ◾️Thieves! Yes, please! This beautiful blend was my first love ❤️ ! In our house, we roll this puppy all over the bottoms of our kiddos’ feet every night before bed 🛌! We rest easy knowing our little ones have the natural tools they need to stay well throughout the holidays. ◾️◾️RutaVaLa? Getting your hands on this blend is next to impossible 😉! In fact, this is the ONLY way to grab a bottle of this coveted oil. Its been out of stock for as long as I can remember! So whats the big deal with RutaVala? Can anyone say SLEEP 💤 ?! This calming blend will have you OUT faster than you can say “Good Night”. Take my word for it! ◾️Deep Relief- We know the holidays means a little more of everything. And a little more of EVERYTHING can lead to extra tension in those shoulders. Keep a bottle of Deep Relief in your purse 👛 or back pocket and you will always have the solution for your tight muscles. ◾️Stress Away- The perfect companion to Deep Relief when you have baking 🍪 to do, shopping 🛍 to complete, a tree 🌲 to decorate, and parties 🎉 to attend! Keep both those bottles with you for a more relaxed and stress-free season! ◾️Breathe Again- I love ❤️ the synergy of this blend – – four types of eucalyptus oil paired with peppermint, copaiba and myrtle! It’s invigorating and my lungs say thank you! Put a little pep in your step this season with this invigorating blend. Don’t wait! Grab yourself this collection before it is gone!